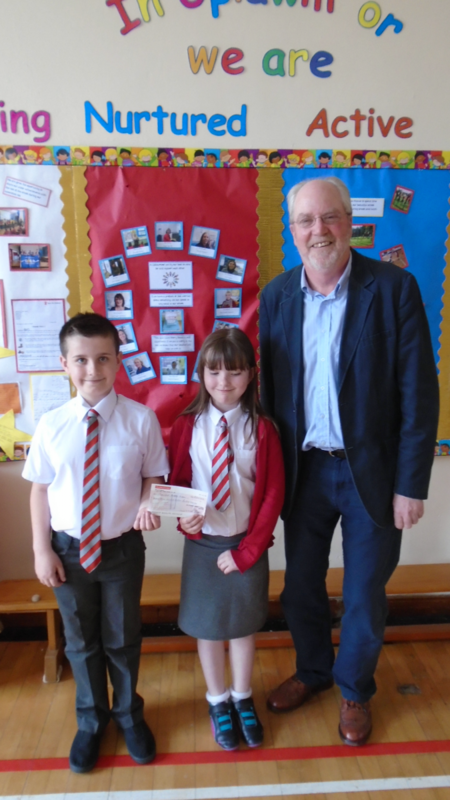 Uplawmoor Primary, would like to say thank you to Gordon Steel at the Community Council who came to school on Friday with a very kind monetary donation. Mrs Black from our Fundraising Group and Mr Steel told us of the success of the recent quiz night which was held at the Mure Hall, so we would like to say a huge thank you on behalf of all at Uplawmoor Primary. Previous PostHappy HolidaysNext PostP2 Make Disgusting Potions in Volume Lesson!